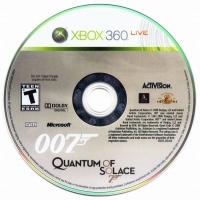 Description: Quantum of Solace for the Xbox 360 delivers stunning graphics and AI using the Call of Duty 4: Modern Warfare game engine. 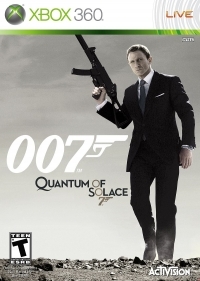 The game will feature quick time events to keep you in the action, even during cutscenes. 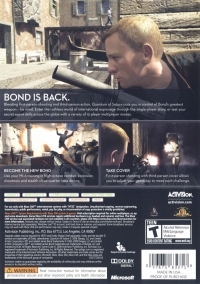 While the majority of the game is played in first-person mode, the game will switch to third-person view to remind you just who you are: Bond, James Bond.